The most recent special issue of East Asian Science, Technology and Society (EASTS), “Research Misconduct in East Asia,” edited by Hee-Je Bak, is now available. Instead of attributing research misconduct to an individual researcher’s lack of ethical integrity, recent scholarship in Science and Technology Studies has tended to link scientific fraud closely with the characteristics of specific fields, institutional and cultural systems of science (including the reward structure), and national politics concerning science. 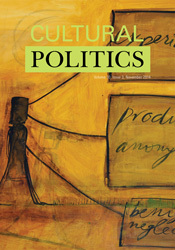 By analyzing the Hwang scandal in South Korea, the Obokata scandal in Japan, and the BMC retraction scandal in China, this issue also highlights aspects of the unique social and cultural environment of scientific research in East Asia, such as the strong state power over academic research, the weak culture of self-regulation in research organizations, and the emphasis on international journal articles in research evaluation. In this way, each article demonstrates that research misconduct can be a valuable window for understanding the characteristics of institutional and cultural systems of science in each society. This issue also suggests that we should not only focus on traditional misconduct, which concerns fraudulent ways of producing scholarly publications, but also address new types of research misconduct: those that involve the rapid commercialization of science and/or target the publication system itself. We are pleased to share two works this month from Cultural Politics: a special section on “Mediated Geologies,” edited by Jussi Parikka, in the most recent issue of the journal, and the first book in the Cultural Politics books series, Finite Media, by Sean Cubitt. 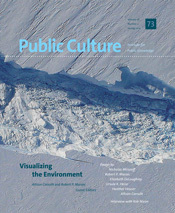 The most recent issue of Cultural Politics includes a special section on “Mediated Geologies.” The special section approaches topics such as cultural politics of the environment, ecological contexts of contemporary media, and debates concerning the Anthropocene from the angle of media studies. Contributors argue for new ways to understand media culture as read through a materials focus: from waste to building materials and from temperature control to more conceptual developments concerning new materialism. Cultural politics of geology sounds rather oxymoronic, considering the distance geology seems to have from concerns of reproduction of cultural inequalities, power struggles, formations of identity, and issues of governance. Geological investigations of the earth and its layers, resources, dynamics, and histories occupy a timespan that is assumed to speak to an altogether different set of questions than what we consider as the task — or even the capacity — of the humanities. Yet the past years have seen a rather dramatic increase in debates about geology, although often through the term Anthropocene. The concept refers to the impact of human agriculture,science, and technology on a planetary scale; it could be said to function as nothing less than a modern “design brief” (Bratton 2016) for how the earth has been reformed and, as many would argue, catastrophically pushed to a point of no return when it comes to the amount of toxic content in the air and soil, to global temperatures, to sea-level rise and polar ice melt, and to many other interconnected chemical reactions and consequences. These debates have also led to intense discussions in the humanities and the arts, including the Haus der Kulturen der Welt’s (Berlin) significant long-term project, the Anthropocene Observatory, involving artists, curators, theorists, and other participants. Although that project concluded, similar projects continue, with an abundance of art works and theoretical writings starting to address a set of interrelated questions: What are the political stakes in the nonhuman context of the human impact on the geological scale? In which particular territories, case studies, concepts, and questions are the entanglement of the scales most visible, most prescient? Read the full introduction to the section, made freely available. Finite Media by Sean Cubitt is the first book in the Cultural Politics series, which examines the political aspects of culture and the cultural aspects of the political. While digital media give us the ability to communicate with and know the world, their use comes at the expense of an immense ecological footprint and environmental degradation. In Finite Media, Cubitt offers a large-scale rethinking of theories of mediation by examining the environmental and human toll exacted by mining and the manufacture, use, and disposal of millions of phones, computers, and other devices. The way out is through an eco-political media aesthetics, in which people use media to shift their relationship to the environment and where public goods and spaces are available to all. Cubitt demonstrates this through case studies ranging from the 1906 film The Story of the Kelly Gang to an image of Saturn taken during NASA’s Cassini-Huygens mission, suggesting that affective responses to images may generate a populist environmental politics that demands better ways of living and being. Only by reorienting our use of media, Cubitt contends, can we overcome the failures of political elites and the ravages of capital. Read the introduction to Finite Media free online, and use coupon code E16CUBIT to save 30% when you order the paperback edition through our website. The Anthropocene has recently become the subject of scholarship not only in the sciences, but in the humanities, as well. The following special issues and special sections of Public Culture, the minnesota review, and Cultural Politics address the ever-growing presence of the Anthropocene in the humanities. For a sense of environmental visualization and the Anthropocene, sample “Visualizing the Anthropocene” by Nicholas Mirzoeff. In this article, Mirzoeff claims that visual representation of the Anthropocene obscures rather than reveals environmental and social injustices. Read more from “Writing the Anthropocene: An Introduction” by Tobias Boes and Kate Marshall here. The most recent issue of Cultural Politics features an article by John Beck entitled “The Call of the Anthropocene,” which addresses timekeeping. 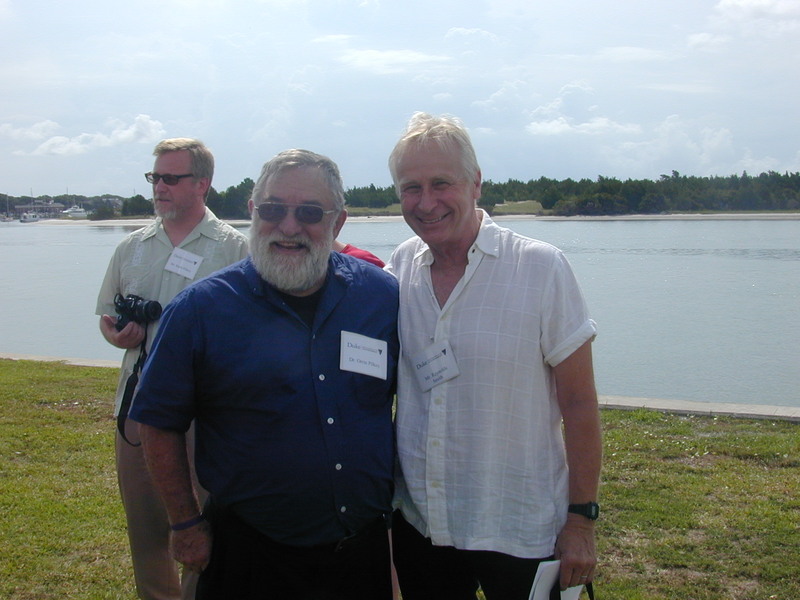 Earlier this month the Nobel Prize in Economics was awarded to Thomas J. Sargent and Christopher A. Sims. Sargent, Professor of Economics at New York University, was cited by the Nobel committee for his work on "how structural macroeconometrics can be used to analyze permanent changes in economic policy." 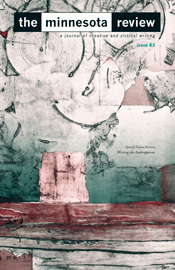 To learn more about Sargent, we invite you to read a free chapter from the recent book The Mangle in Practice: Science, Society, and Becoming, edited by Andrew Pickering and Keith Guzik. The chapter is called "Resisting and Accomodating Thomas Sargent," by Esther-Mirjam Sent. Sent argues that "Thomas Sargent was faced with the emergence of different interpretations of rational expectations in different periods as a result of the dance of human and disciplinary agency." Congratulations to Li Cho-ying, the recipient of the 2011 Zhu Kezhen award for the article “Contending Strategies, Collaboration among Local Specialists and Officials, and Hydrological Reform in the Late-Fifteenth-Century Lower Yangzi Delta,” published in the June 2010 issue of EASTS: East Asian Science, Technology and Society. The Zhu Kezhen award is the highest honor given by the society of East Asian History of Science,Technology, and Medicine for an essay of original scholarship in the history of science, technology and medicine in East Asia.